If I didn’t participate in an online message board or have coworkers a decade+ younger than me, I’m fairly certain I’d have no idea what new slang terms and acronyms are now being said. Okay, let’s be real. I still have to ask what exactly those mean, because apparently this is what happens when you’re 32 and not on Snapchat. But for all I know, Snapchat isn’t even cool anymore and there’s some new app. Anyway, I’m getting off topic. Perhaps you’ve heard of FOMO – fear of missing out. (I’d actually heard of that one!!) As trends go, FOMO is totally out and now it’s all about the GOMO – Go(ing) Out More Often. What does that mean exactly? It’s kind of like the hip-2017 version of a bucket list. It’s not about spending money on things (Amazon and Target, I’m looking at you) but more about having experiences like going on a ghost tour or your communities local art festival. As much as I like shopping and buying things I may or may not need, experiences are really what sticks with you when you take a little trip down memory lane. Eventbrite, a hugely popular event site, is behind GOMO, seeing as they offer the ability to create your own events, rsvp to an event and buy tickets for an event all in one nifty little spot. I’ll be honest, that whole “buying a house” thing has put a bit of a halt in my ability to GOMO, but nevertheless, here is what I’m hoping to accomplish this year. Monkeys and MaCaws in Honduras: As part of the cruise we went on, we did an excursion where we got to walk through an animal preserve and have monkeys and macaws sit on our shoulders. The monkeys were less nosy than the macaws and personally, I preferred them, but how often do you get to have a cute little monkey sitting on your shoulder eating sunflower seeds the trainer is handing her? Chacchobben Ruins in Mexico: This was another cruise excursion, but a totally cool way to see history. We literally got to climb up ancient Mayan ruins and see where families slept and spent their time. Ir was amazing and enlightening. Sightseeing in New Orleans: Tom and I fall further down the outgoing scale into the homebody category, so honestly, the entire trip to New Orleans and seeing all the city has to offer was out of our usual comfort zone, but wandering around the gorgeous city from Bourbon Street to Jackson Square to the Garden District and Frenchman Street was amazing. I simply cannot wait to come back to the city. Local Art Festival: I live in what’s referred to as a bedroom neighborhood in Maryland. Our limited shopping options are on the main street (only a mile or so away) but once you get past that, it’s nothing but houses, apartments, parks and churches. Next month, some community members have planned a local arts festival to be held at one of the parks and I’m excited to go and meet some neighbors and see what kind of cool stuff they have to offer. Brunch with Friends: I’ve always wanted to be part of that crowd that gets together and goes to brunch. Except, all of my friends have kids and busy schedules and we never get the time to really make it work, but I’m determined to find a Saturday or Sunday this summer where we can all get together, drink a few mimosas and eat all the brunch foods! Concert: I’m not sure who or where yet, but it’s on my list to make it to a concert this year. Perhaps I’ll get really lucky and manage to win a set of tickets off the radio. Cross your fingers for me? Gardening: Well, this is really more about not killing plants. I have a brown thumb. It’s definitely not green as I kill most flowers and plants, but it’s not black because I can keep a cactus and herbs mostly alive. My mom planted a bunch of flowers in my yard and now I need to figure out how to keep them living through the summer until she comes back in the fall and tells me what to do with them then. 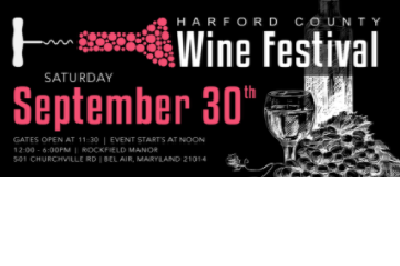 Harford County Wine Festival: I attended this once a few years ago and it was delicious and amazing and I’d love to get some friends together and go back for another day there. 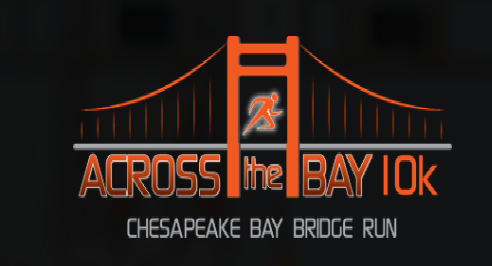 10K Across the Bay: When I was a kid, my cousin convinced my mom and I to do a 10K walk across the Bay Bridge and I thought it was the coolest thing ever. If you’re not a Maryland local, you probably know this bridge only because it comes up as one of the scariest bridges to ever cross. It crosses the Chesapeake Bay and only has the standard guardrails you would see on the road. They’ve recently brought back the event and I’ve found a friend to drag along with me. Grinchmas: This is entirely dependent on our financial situation toward the end of the year, but Tom and I both love the Grinch and would absolutely love to go to Florida, or more specifically, Universa Studios during December, when they host Grinchmas. Head on over to Eventbrite.com, type in your city or zip code and see what cool stuff is happening in your area, then create your own GOMO list!